AN TAOISEACH LEO Varadkar has said that the Strategic Communications Unit is distracting from the work of government. Speaking to RTÉ’s Morning Ireland, Varadkar said that the government secretary-general was carrying out a review of the operations of the SCU, and that the prospect of it being abolished was one of the options being examined. “That’s something that’s going to have to be examined,” he said. “The unit was set up with a view to modernising and professionalising government communications and its had some success in that regard. It was set up as a unit that was established to better explain the work of government and has become a distraction from the work of government so as part of a review that my sec-gen is doing… that is one of the options. The unit has come under increased scrutiny in recent weeks as a result of the fallout from a government advertising campaign around the Ireland 2040 National Planning Framework. Questions were raised last week about how advertorials in newspapers were presented during the €1.5 million rollout of the plan. The Ireland edition of The Times reported that regional newspapers were directed by an ad agency to ensure the ads appeared as regular news items. Following on from this, Varadkar ordered a review of the operations of the SCU. Speaking today, Varadkar said that there were issues with how the advertisements were put in place and that it “could have been done better”. “I have issued some instructions,” Varadkar said. I think there are things that could have been done better so I’ve issued very clear instructions as to how things should operate in the future when it comes to any paid for advertisement from government. He said that elements of the campaign had been “too loose”. “Some things were too loose and that’s why I’ve put in place those new rules so those things don’t happen again and also we’re carrying out a review led by the sec-gen,” Varadkar said. 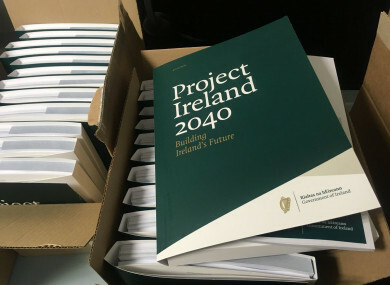 He continued to defend the Ireland 2040 plan, blaming “opposition spin” for focusing not on the plan but the advertising and presentation around it. Opposition parties and figures have been highly critical of the government approach to advertising the plan. The Social Democrats last week made a formal complaint to the Advertising Standards Authority of Ireland (ASAI) about the about the Ireland 2040 ads. The SCU exists in tandem with the current Government Information Service (GIS), which runs all day-to-day communications concerning the Department of the Taoiseach. Email “'A distraction': Review will look at abolishing the Strategic Communications Unit”. Feedback on “'A distraction': Review will look at abolishing the Strategic Communications Unit”.